So we’ve covered microwave cakes before, but what if you want a vanilla one? This recipe is the same exact concept, a quick and yummy cake cooked in a mug in the microwave, only this time it’s for everyone’s favorite flipflop of fudge brownies. Bear in mind, the “Two minute” part is how long it takes to cook. But mixing the ingredients together shouldn’t take much longer than a few minutes either, so you should have it ready in about five minutes tops. Don’t be leery if it seems undercooked, there’s no egg in here so you can technically eat the batter carefree! The resulting cake actually tastes pretty close to a giant chocolate chip cookie. If it seems raw, feel free to microwave it an additional 10 seconds or so. Melt butter in a large, microwave-safe mug, approx 1 minute. Add brown sugar and water to mug, and stir vigorously until it forms a mixture. Add vanilla and stir in. Gradually stir in flour, one tablespoon at a time, until mixture forms a batter. Add in salt and baking powder and stir until well-blended. Add chocolate chips to top of mixture, and stir gently. Your chips should remain towards the top of batter. Microwave mug with batter for 1 minute. If top of blondie is very liquidy and uncooked, return to microwave and cook for additional 10 seconds. Repeat again if still not cooked enough. Blondie should be moist and tacky, but solid. Posted on August 6, 2014, in Etcetera and tagged awesome, easy, recipes, yummy. Bookmark the permalink. 8 Comments. This came out very cakelike. You can remedy the taste by just sprinkling more brown sugar on the top, so that it melts and forms a sauce, but I’m not sure how you could get a more fudge-like texture. I imagine an egg yolk would have to be involved. Sorry to hear it didn’t come out well for you :\ Though in my experience, all the blondies I’ve had were cake-like in their texture, like vanilla brownies. To make it more fudge-like, you’d most likely need additional confectionery stuff. I’d suggest marshmallow fluff, since that’s a mainstay ingredient in many fudge recipes. That being said, if you’re looking for something more chocolatey/fudgey, you should try out the microwave lava cake! Glad you enjoyed it! We just made one ourselves last night. They really are a great dessert for when you have that craving for sweets but don’t really feel like spending the time baking. Interesting! Thanks for the tip, we’ll have to try it for ourselves sometime! 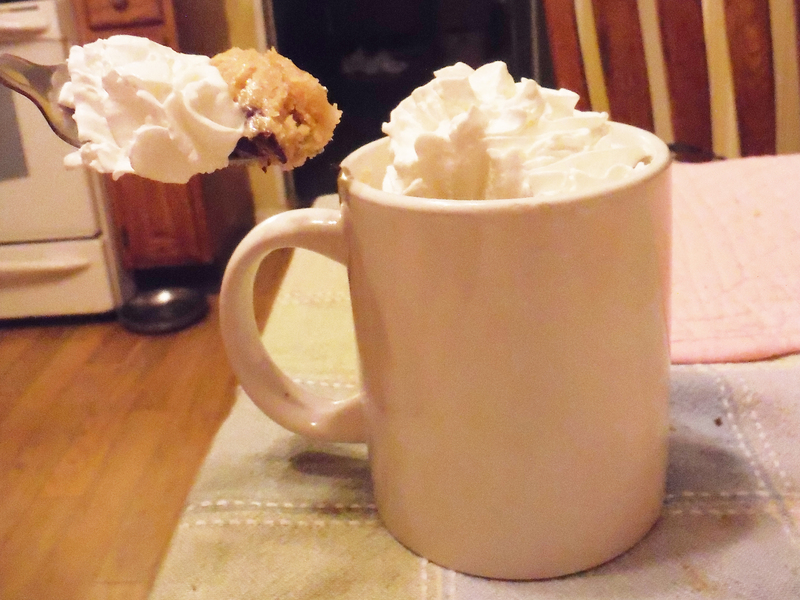 This is the best mug recipe I have ever made. Tastes just like a blondie! !